Breathing air compressors are useful in a wide variety of work environments, from industrial painting facilities to fire stations to dive shops. Whether one is underwater, surrounded by smoke, or facing chemical debris, these compressors serve the same purpose: they provide the pure, vital air needed in hostile breathing conditions. A&W Compressor carries an extensive selection of air compressors, which is sure to include the breathing air compressor you need to provide Grade D breathing air (or better), so you can keep your customers and employees breathing easily and safely in potentially life-threatening atmospheres. A&W Compressor has been serving Tennessee with exceptional compressor sales, repair, and maintenance since 1982, so you can put your trust in our experienced team to help you find the right compressor and all of the necessary components to give you the quality of breathing air you need. 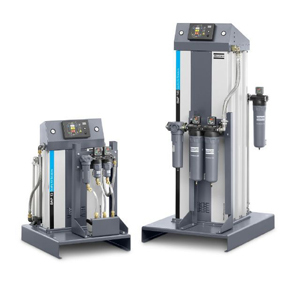 Call or email us today to find out more about our specialized air compressor selection.